Subaru debuted the brand-new 2020 Legacy at the Canadian International Auto Show in Toronto with a new look inside and out, more safety tech, and a powerful turbocharged engine. For 2020, Subaru has borrowed its new 2.4-litre turbocharged Boxer engine from the Ascent, making 260 horsepower and 277 lb.-ft. of torque. Also available is a 2.5-litre non-turbo Boxer engine, with 182 horsepower and 176 lb.-ft. of torque. The only transmission option available for both engines is a CVT. Estimated fuel economy for the engines is 9.8 L/100 kilometres in the city and 7.4 on the highway for the turbo, and 8.7 city and 6.7 highway for the normally aspirated 2.5L engine. The seventh-generation Legacy rides on the Subaru Global Platform, which is much lighter and stiffer than the previous platform. This enables better steering response and a more quiet ride—three decibels quieter, to be exact. The outside of the Legacy doesn’t look all that different apart from some new front intakes — it’s the inside where Subaru has really gone hard with the changes. First and foremost is the huge 11.6-inch, portrait-oriented infotainment screen that sits in the centre of the console; this is available on all trims but the base. A slew of connectivity options is available, including four USB ports and two 12-volt DC outlets. The 2020 Legacy also gets some more active safety tech, including a driver distraction monitor and a new lane-centering function. The 2020 Legacy will hit dealers in the fall, with pricing announced closer to the release date. The Canadian International Auto Show runs in Toronto through February 24. DriverFocus is named AJAC’s Best Safety Innovation for 2019. Subaru’s innovative DriverFocus Distraction Mitigation System is designed to help address distracted driving and driver fatigue. (MISSISSAUGA, ONT. )—Subaru Canada, Inc. (SCI) is thrilled to announce its newest safety accolade, awarded by the Automobile Journalists Association of Canada (AJAC) today at the Canadian International AutoShow in Toronto. Subaru Canada is pleased DriverFocus is named AJAC’s Best Safety Innovation for 2019. Subaru’s innovative DriverFocus Distraction Mitigation System, available in the 2019 Forester and newly announced 2020 Legacy, is designed to help address distracted driving and driver fatigue.The segment-exclusive system, which uses facial recognition software to identify signs of driver fatigue or driver distraction, works alongside Subaru’s EyeSight driver assist suite to reduce the likelihood of a collision. Utilizing a camera mounted atop the dash, DriverFocus can register and recognize as many as five drivers and remember their individual pre-sets for seat position and door mirror angle, among others. In 2018, AJAC members nominated 30 different automotive innovations for consideration. The awards were judged by a panel of nine journalists who specialize in automotive technology. They independently reviewed briefs on all nominated entries, and from that initial review the jurors established a short list of finalists in each category. In late October, they convened for a day of presentations and questioning with manufacturer representatives on each of the short-listed entries. The jurors then voted a second time by secret ballot. As with the Canadian Car of the Year awards program, these votes were compiled and authenticated by accounting firm KPMG. About Subaru Canada, Inc. Subaru Canada, Inc. is a wholly owned subsidiary of Subaru Corporation of Japan. Headquartered in Mississauga, Ontario, the company markets and distributes Subaru vehicles, parts and accessories through a network of 93 authorized dealers across Canada. For more information, please visit www.subaru.ca or www.pr.subaru.ca or follow @SubaruCanada on Twitter. When you buy a 2018 Subaru Crosstrek, you’ll get the same great fuel economy, all-wheel-drive system and generous ground clearance that Subaru is famous for. You’ll also get a host of new features that make this reliable SUV-alternative feel a little more luxurious than previous generations. Subaru is known for their fairly utilitarian interiors, but with the new Crosstrek, that could be changing. Constructed with higher quality materials, buttons and switches look and feel more luxe. The dashboard now has handsome cross-stitching that gives the whole interior a more modern, updated look. An increased wheel-base means you also get an extra inch of legroom in the back seat for a more comfortable ride. Even the shifter on the automatic transmission has gotten a make-over, with the manufacturer replacing the cheap, silver plastic on earlier models with a proper shift boot. 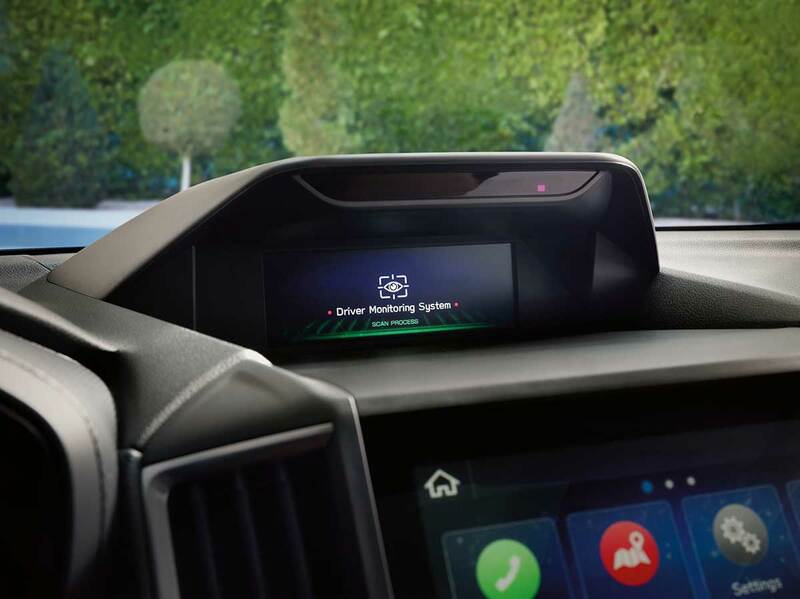 An all-new touchscreen interface in the Crosstrek gives you faster response times, modern graphics and a more intuitive user interface than ever before. Whether you opt for the six-and-a-half-inch or eight-inch screen, a backup camera, Apple CarPlay and Android Auto come standard. If you do choose the larger screen, it comes with an extra USB port and satellite radio. An $800 upgrade will also get you a six-speaker audio system, heated seats and automatic headlights. 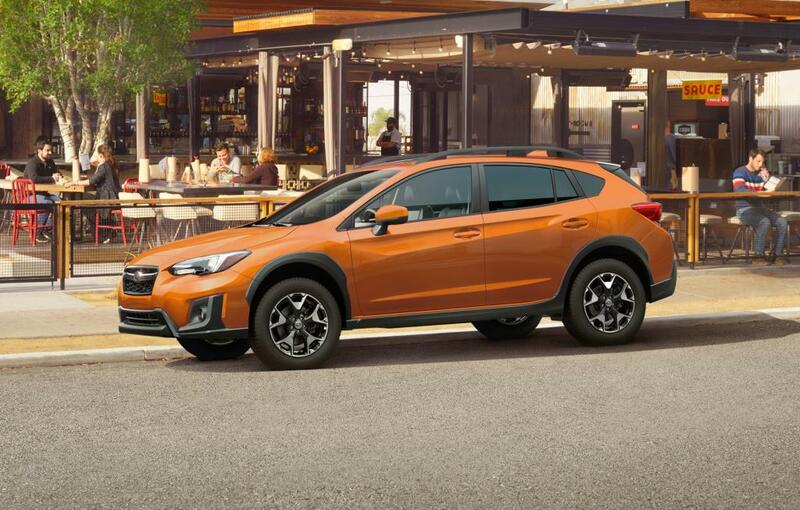 The Crosstrek was also received top marks from The National Highway Traffic Safety Administration and the non-profit Insurance Institute for Highway Safety, with the latter awarding it a Top Safety Pick designation. In addition to the standard airbags, child seat anchors and high performing automated forward-collision-braking system, you can also opt for the EyeSight Package for a host of extra safety features, like automatic high beams and forward collision warning. If you’re thinking about buying a new Subaru, don’t take our word for it. At Gemini Motors you can test drive a 2018 Crosstrek and explore some of its new features for yourself. We think you’ll be impressed. The new 2018 Subaru Forester now available at Gemini Motor may have what you’re looking for in your next vehicle. A lot of great features are available both inside and out. Come talk to a friendly sales representative or keep reading to learn more about the new Forester. The exterior of the new 2018 Forester has a lot to love. Not only is it available in several colors to suit a variety of personal styles, but this vehicle has been designed for performance was well. Features include all wheel drive and driver assist technology such as blind spot detection and rear cross-traffic alert to keep you on the road. The LED headlights are steering responsive, and include a high beam assist to help you see where you’re going. The new Subaru has also been designed with 8.7 inches of ground clearance to allow you to travel to most locations regardless of road conditions. The interior of the Forester has several upholstery options so that you can find one you enjoy. Available in several colors, options include either cloth or leather with each choice designed for comfort. Features include a heated steering wheel and memory seating with a 10-way adjustable driver’s seat. The Starlink™ Multimedia system allows you to connect not only to navigation and weather, but also to the music and news you enjoy. It also allows linking to wireless devices with options to allow for hands free usage. Several models of the new 2018 Subaru Forester may be available at your local dealership and all of them have these great features. A sleek design with great features that allow you to get where you want to go, and the interior comfort and technology you may be looking for in your next vehicle. Remember, if you have any questions one of our sales team members can help. One of the great models available at Gemini Motors is the 2018 Subaru Impreza Hatchback. We believe this model may be a great car for anyone. Here are a few reasons why. Safety is one of the foremost concern of any driver on the road and the Subaru Impreza is designed with this in mind. With the available EyeSight® driver assist technology, your subaru can help you stay on the road with built in monitoring systems that can help warn you if you drift out of your lane, if a vehicle is in your blind spot, or if an obstacle is behind you as you’re backing up. The Pre-Collision Braking feature works both forward and in reverse to help apply the brakes in time to prevent a collision. The 2018 Subaru Impreza Hatchback has an interior to boast about. Designed to provide enough room for each passenger to be comfortable, the seats are upholstered in either quality leather or cloth depending on your personal preference. The front seats even have an option to be heated. The touch screen controls include options for the available Subaru Starlink™ as well as the ability to work with your smartphone in both Apple and Android systems. The designers of the Impreza have worked hard to create a car that lasts. According to statistics 96 percent of the Impreza models sold in the last ten years are still on the road. 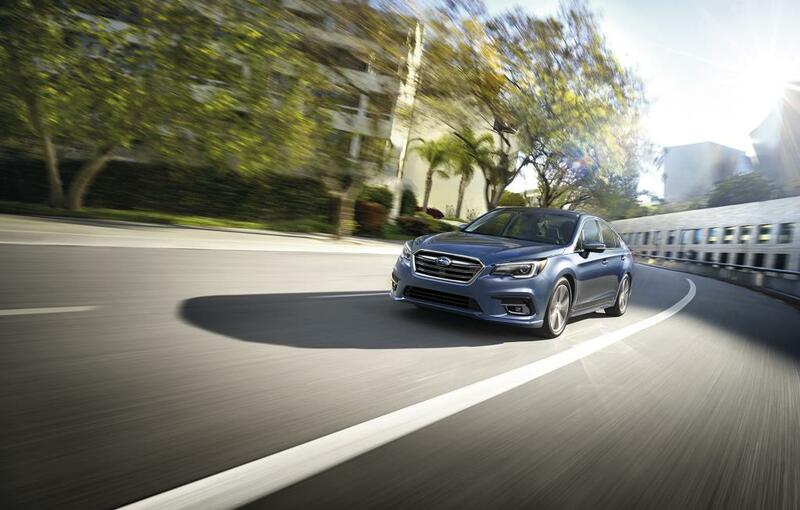 This Subaru is built with quality materials to help ensure that the 2018 Impreza keeps this standard. These materials include high-strength steel for the body structure, and quality upholstery on the interior. With a quality interior, great safety features, and a body built to last, the 2018 Subaru Impreza Hatchback can be a great choice for any vehicle owner. If you have more questions or would like to see the Subaru Impreza for yourself, feel free to come visit the dealership. If you need a new car for your growing family, the 2018 Subaru Crosstrek may be the perfect fit. From your kids’ sports gear to camping equipment for summer trips to weekend groceries, having room for everything you haul around and keeping your family comfortable in the car at the same time can be a challenge. However, the features of this new Subaru can help you accommodate it all, and we at Gemini Motors would like to show you how. If you and your family spend a lot of time in the family car, then comfort is probably a priority for you when it comes to buying an SUV. The 2018 Subaru seats five adults and has 100.9 cubic feet of passenger space, which means there’s plenty of room for everyone. The rear seats also fold down for extra cargo space, allowing you to fit everything from luggage to sporting equipment. Luggage rails on the roof of this SUV provide you with even more options for carrying larger items. Keeping your family safe while you’re on the road is important, especially when it comes to long-distance or freeway driving. The new Crosstrek features a wide variety of safety equipment to give you peace of mind while you’re behind the wheel. From a new and innovative system that helps you stay in your lane to an automatic braking system that helps prevent accidents, you can drive your family anywhere with confidence. If you love being entertained while you drive, the 2018 Crosstrek has you covered. No matter what operating software your phone uses, you can connect with the car’s media center to access your music, podcasts, and more. Interactive maps and streaming music via satellite radio are also available with subscription, and with hands-free operation, you can operate all your media without taking your eyes off the road. The 2018 Subaru Crosstrek has plenty to offer your family and its active lifestyle. We hope to see you at Gemini Motors soon, where you can learn more about this fun and innovative vehicle. Drivers who have a love of the fast lane and the excitement that comes with being behind the wheel of a vehicle that’s easily capable of handling tight curves and corners feel right at home in a sports car, and you might, too. 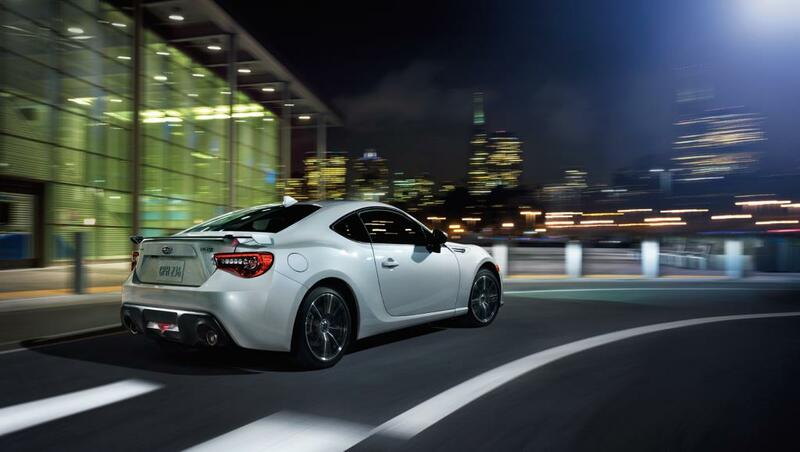 Gemini Motors offers a number of great sports cars like the 2017 Subaru BRZ Coupe, and we also offer a few great reasons why sports cars make for great selections for the discerning driver. It’s undoubtedly true that sports car are some of the most gorgeous automobiles on the market, and that’s true of practically any point in history. One of the great things about sports cars is they strike the perfect balance between style and substance, meaning you don’t have to compromise. Looking at a sports car is one thing, but sliding behind the wheel of one is an entirely different experience. Silky acceleration, sharp maneuverability and general control come standard with sports cars; just make sure you don’t get so caught up in the excitement that you become a target for police. What’s more is sports cars offer you the opportunity to improve your driving skills, which can’t always be said of other vehicle types. Another selling point for sports cars is they retain their value well. It’s the combination of looks and performance that allows sportier vehicles to retain their value over the years. When you buy a modern sports car, you very well might be buying a future classic that could actually increase in value over the years; just take a glance at a current advertisement for a sports car and compare its value with that of another modern vehicle that isn’t a sports car. Start your search for a sports car that suits you best. Visit us at Gemini Motors today to explore your options and learn more about our line of great sports cars. If you’re looking for an all-wheel drive compact car with incredible fuel-efficiency, check out the 2018 Subaru Impreza Hatchback at Gemini Motors. It is said that the Impreza is the longest-lasting vehicle in its class and that it retains its value better than any other vehicle in the compact-car class. Take a look at these highlights of the 2018 Impreza Hatchback. The 2018 Impreza is an incredibly durable car with its high-strength steel body structure with vibration resistance. It comes with Subaru’s signature Boxer engine that offers great balance and maximum transfer of power. This proven engine is known for running smoothly and efficiently. Direct injection improves performance and fuel-efficiency. Subaru’s Active Torque Vectoring helps brake the inside front wheel individually for improved turning and sharper handling. The 2018 model also comes with Subaru’s EyeSight driver assist technology that monitors traffic movement. Furthermore, it offers adaptive cruise control, automatic emergency braking and rear cross-traffic alert, as well as lane departure, sway, blind spot and forward collision warning. The Impreza comes with Subaru’s Starlink system that notifies first responders when an airbag deploys along with providing roadside assistance and stolen vehicle recovery. Subaru’s Starlink infotainment system features an 8-inch touchscreen with Apple CarPlay, Android Auto and Pandora. Use voice-control to make hands-free phone calls, send messages and access news. Options for accessing music, podcasts and audiobooks are provided by iHeart Radio, SiriusXM and Aha. The 2018 Impreza lets you listen to your favorite music with a Harman Kardon premium audio system that offers 8 high-quality speakers. The voice-activated navigation system is powered by TomTom. Other notable features are automatic climate control, keyless start, leather seats, adaptive headlights and roof racking capabilities. Additionally, it boasts with an impressive gas mileage of 24 mpg in the city and 31 mpg on the highway. The 5-star rating from the NHTSA regarding side impact and rollover provides a peace of mind. You have to see for yourself what else the 2018 Subaru Impreza Hatchback has to offer. Be sure to stop by Gemini Motors today. There are many things to love about a Subaru and the 2018 Subaru Legacy is no different. With updated designs both inside and out they’re keeping the same great vehicle with a modern feel. If you’re considering purchasing a new car, here are a few things that may make you want to consider the Subaru Legacy as an option. The new Subaru has a sportier look do to revision to the front and rear styling. These revisions include a new bumper style with a designed wing element along with wider and lower grille openings o the front. Even the headlights have been updated. Make sure to ask about the steering responsive headlight system. This system is designed to detect objects in your path and warn you in time, adding yet another features to those than make Subaru’s reputation for safety. Also included are parking light and LED running lights for day use. The Subaru maintains its great driving ability. The chassis have been updated to create a more comfortable drive while maintaining the same great suspension, braking, steering, and agility the vehicle is known for. The electric powered steering and direct brake-pedal have also been updated for a smoother feel to your ride. If design is one of the components you enjoy you’ll love the newly upgraded interior. The new interior features include upgraded multimedia capabilities, a redesigned center console, and sportier steering wheel. Grey has been added to the interior color selection which also includes black and ivory. Which a quicker cooling air conditioner and quieter design, Subaru intends to keep you traveling in comfort. With all the features you love in a Subaru and some new ones this is truly a great vehicle. If you have any other questions about the 2018 Subaru Legacy, the friendly staff at your local Gemini Motors dealership are there to help. While you’re there why not check out this great car for yourself.